Should Masseto be drunk or capitalised? Should we rejoice at the news that in 2016 Masseto has leapt to eighth place among the dearest (the most expensive) wines in the world? It is a question that automatically leads to another: but is the news true? There is no doubt on this point, the news is absolutely true: it comes from the classification of average prices that Liv-ex (London International Vintners Exchange) uses as a benchmark for its indices, considered the most valid yardstick for assessing profits from fine wine investments. But it is precisely because it is true that the news that Masseto is in the Top Ten wines with the highest average price is surprising, because in the British benchmark’s most important index, the Liv-ex Power 100, which examines each month the 100 most sought-after wines at international auctions, no Italian brand has ever reached such a high position: in 2016, for example, the best-placed Italian wine was Gaja, only in 47th place. The index, in fact, does not just take into account prices appearing on the secondary market (at auctions), but aims to assess the impact that all wines will have on negotiations as they gradually become rarer through time. The fact remains that the Liv-ex classifications are dominated by French wines, especially from the Bordeaux Châteaux, with an overwhelming majority. The weight given to Italian wines is clear from the Liv-ex 1000 index, which monitors the thousand most sought-after wines in the world: Bordeaux 500, Bordeaux Legends 50, Burgundy 150, Champagne 50, Rhone 100, Italy 100, Rest of the World 50. Translated into value, 85% of the world secondary market is attributed to French wines, 10% to Italian wines and 5% to wines from all the other countries. 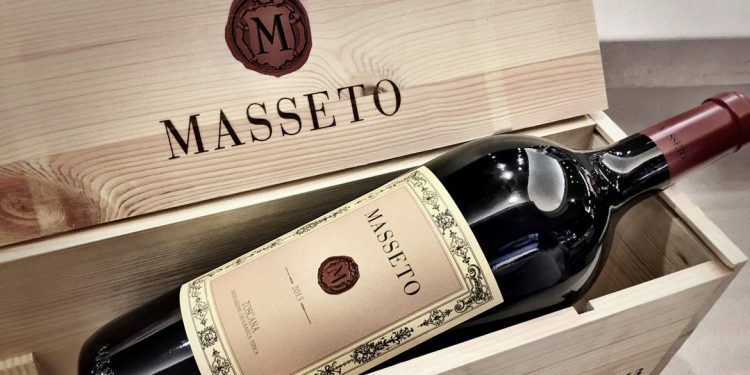 If it is true that the average price of a case of Masseto is £4,619 (about 436 euros a bottle), a case of wine from the Domaine Romanée-Conti (a Burgundy), ranked first, is £18,141, about four times as much. However, Liv-ex indices and classifications bear witness to the perception that the quality of Italian wines is constantly rising: last year, for example Sassicaia sold the highest number of cases of all fine wines, 1,624, compared to 1,047 of Château Lafite-Rothschild. Is there still pleasure in wine? Obviously it’s difficult not to be pleased about this. However, there is an undercurrent of concern: the financialization that wine is subjected to is shifting the focal point of its connoisseurs from collectors to investors. There is clearly the risk that its very essence will be transformed to become a tool of speculation instead of a desirable object. Wine cases will no longer be opened because the bottles are worth more in their original packaging, and they will pass from one auction to another, increasing in price as they become rarer as they age. Who knows whether sooner or later someone will open them: the end they are bought for is not the pleasure that they may give to those who drink them, but the profit they can guarantee to those who sell them.